The Van Brunt Visitors Center on City Campus is illuminated in red light. 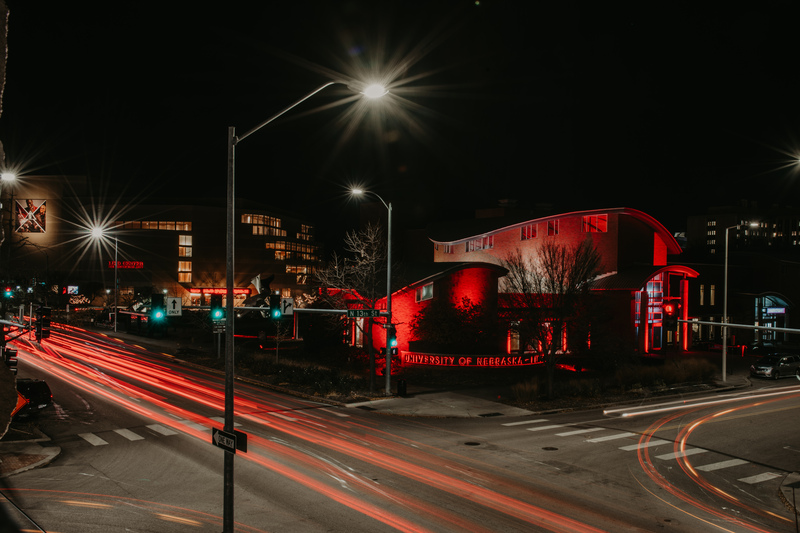 On Feb. 14, Huskers can Glow Big Red for the 150th birthday of Nebraska’s land-grant university. Everyone who loves the University of Nebraska-Lincoln can show their support by lighting, flying and wearing their Nebraska red — or giving some green. From noon Feb. 14 through noon Feb. 15, those who wish to support the university financially can give to the area of their choice quickly and easily through the dedicated website, huskersgive.unl.edu. There will be giving challenges throughout the 24 hours that will be announced on the website and by social media.